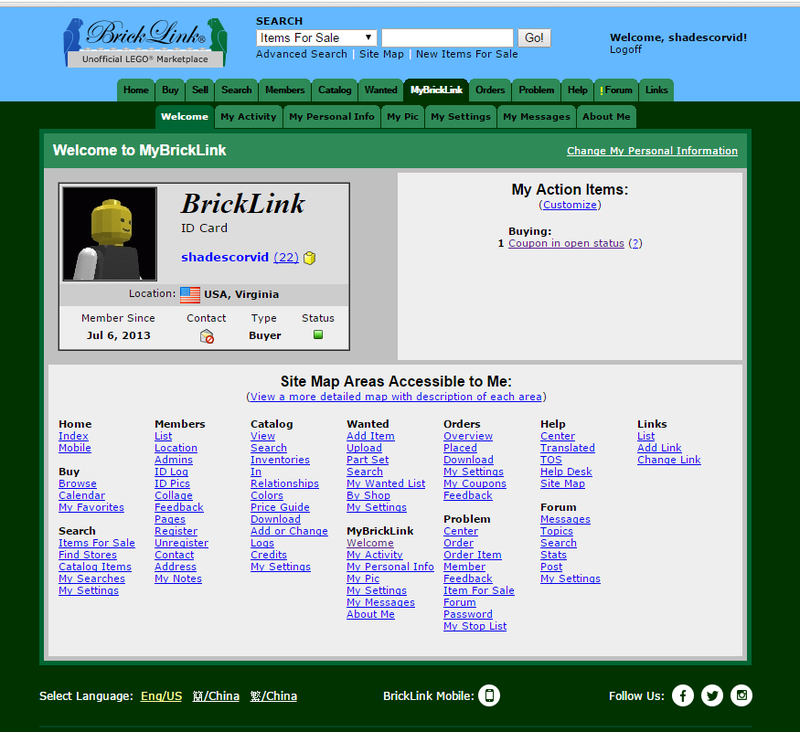 So first what is Bricklink? It is a hub/host for 3rd market LEGO stores selling the individual LEGO bricks we crave! It can sometimes be a confusing and intimidating place for the new user so I thought I write this blog post for a reference. 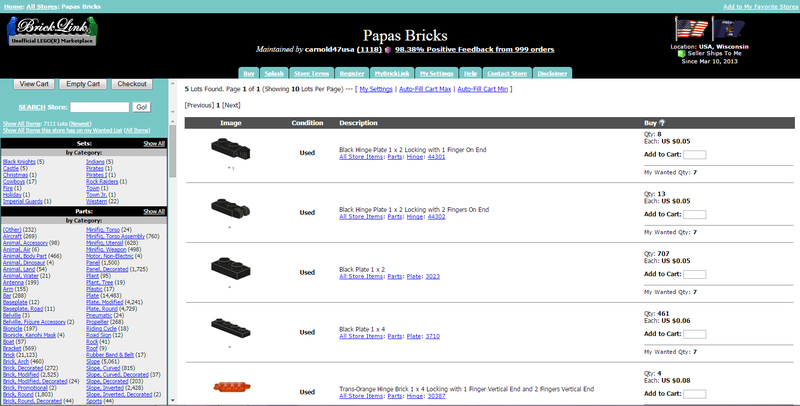 Mind you I am no Bricklink wizard but I have used the site ever so often and have gotten some tips along the way. As I learn more I will hopefully update this blog post as well. Want Lists are your friend. You make them as random parts you are looking for or build them around a build you have in mind. Let's start with clicking the Wanted tab then click My Wanted List. Here you can use the Add New Wanted List to make the list, just pick a name then click Add New Wanted List. For me it is Special Ruler. Now we have to fill up the list. 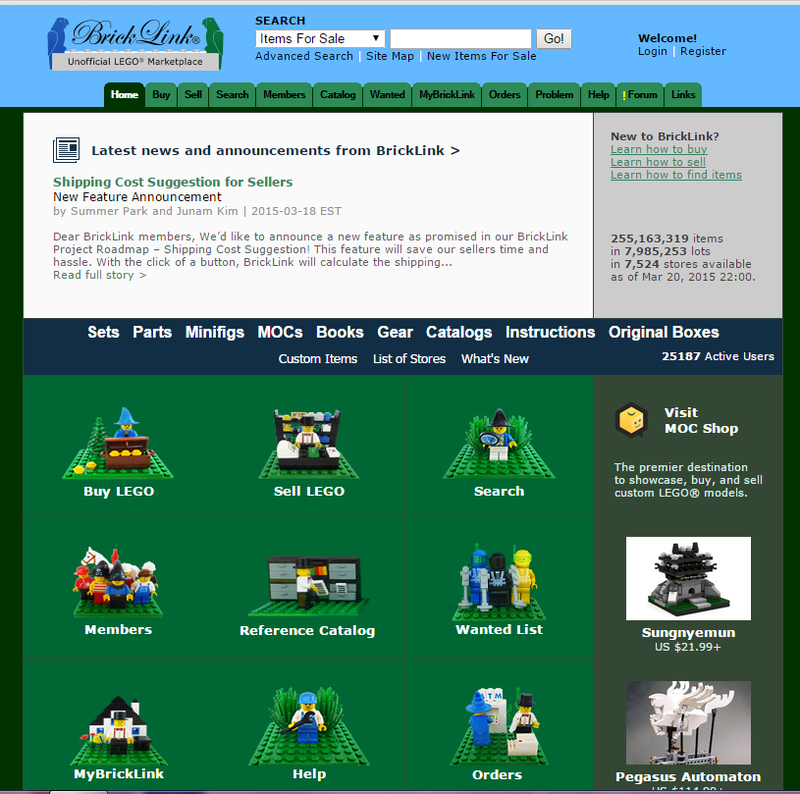 Next go to the search on the top, switch it to Catalog then type in which piece you are looking for. Part numbers work along with descriptions but sometimes you have to figure it out. You can get names or numbers from the LDD but sometimes the system might work off old numbers or just given a different name. 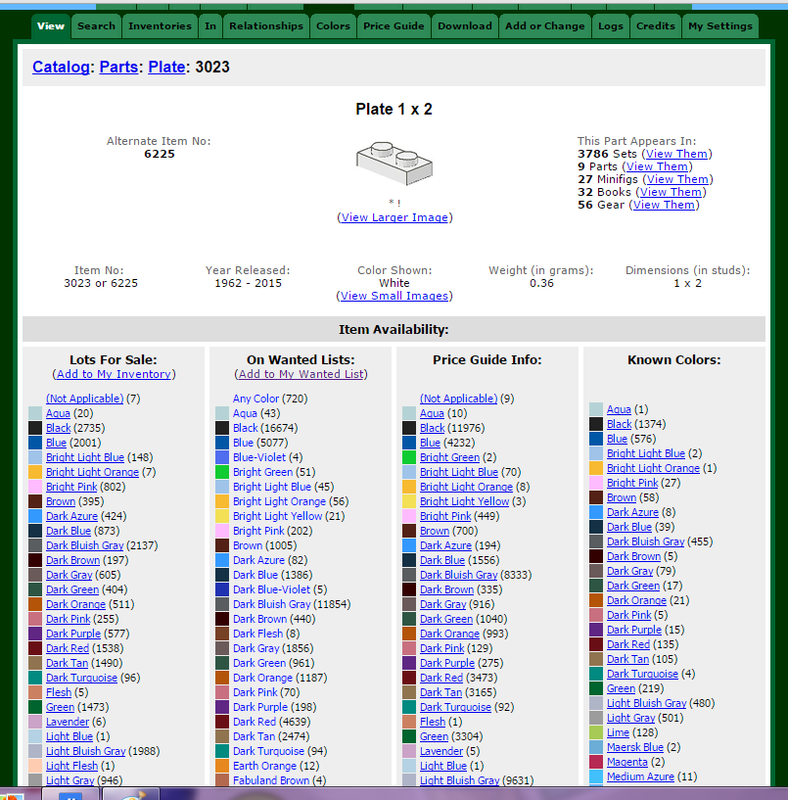 Try screen capturing the part in LDD and do an image search, the results to get old part numbers or name alternates might surprise you. Now that you found your piece, click Add to My Wanted List. This will take you to the Add Part Screen. Now pick a color, stick to Known Color and make sure to change Add To to the Wanted List you have in Mind before scrolling down to click add. Now Repeat until you have your completed Wanted List. Of course if you are just after one part you don't need to be doing all this. Now we have our completed list I recommend you go filling out the Min Qty sections then update. Next I suggest writing it down or printing it out. As you go shopping cross out what you have gotten, or change the number on your physical list. Or you can just delete and update your Wanted List as you go. 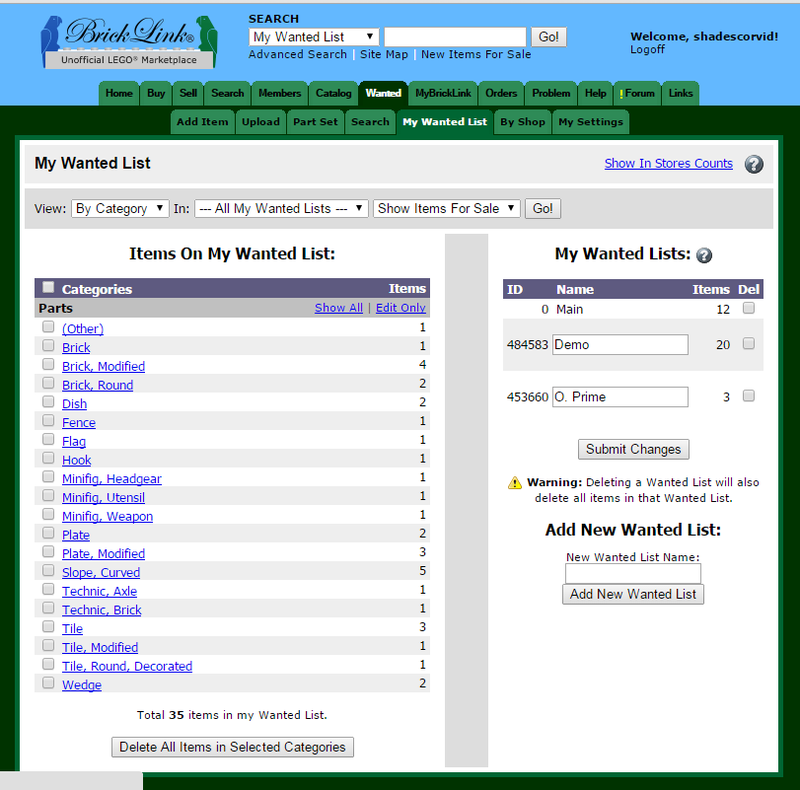 The Wanted List gives a list of stores that have what you are looking for and you can mess with the filter on top to get different results. I suggest trying to keep in your country to keep shipping and handling low generally speaking but sometimes going out is the way to go. Also check min purchase if you are not looking to buy a whole lot. 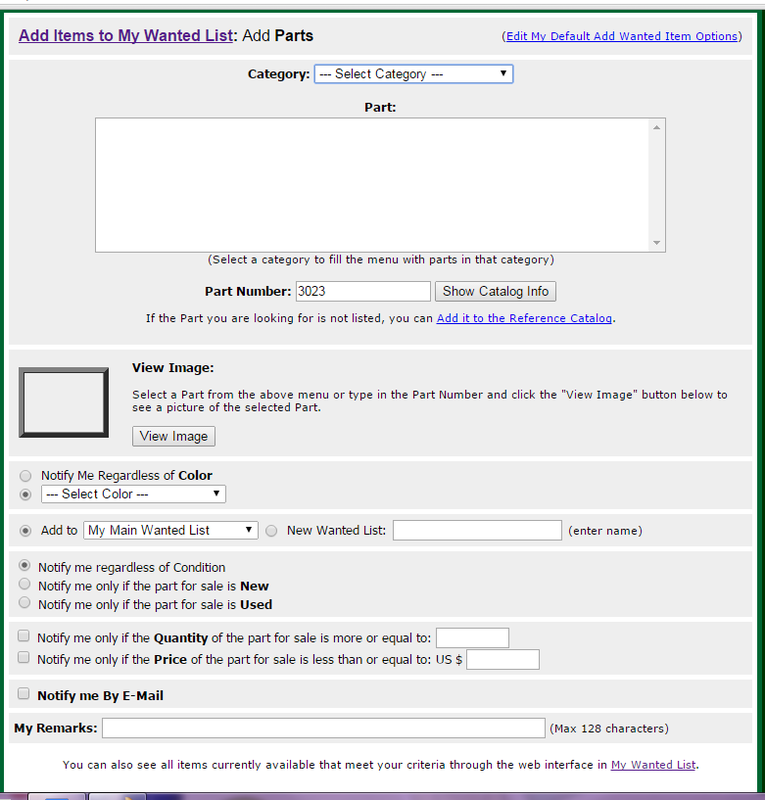 Once you are checking out a store you can click on a link that will have the store search your wanted list then you can set that up to be a specific list. 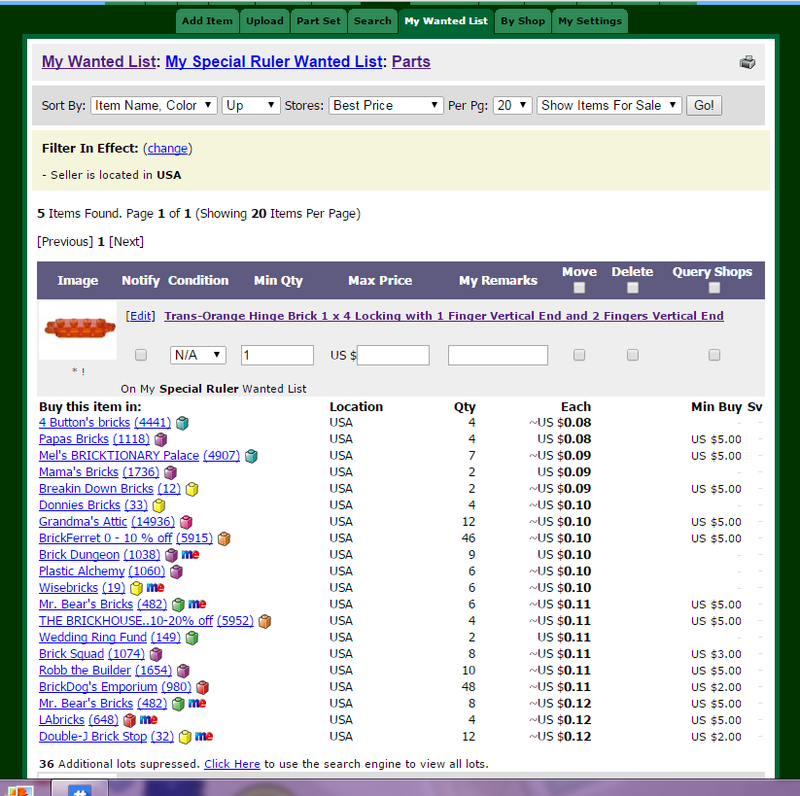 Now you can see what they have that you are looking for. Sometimes you might have to go through a few stores to find one that has all you want with prices you are good with, looking for a balance. If it is some of the more less common parts then you might have to go to a few different stores ordering separating some of the parts to get what you want. After that check out! Now the ordering is a bit different then say Amazon. The system will send a request to the store seller who should hopefully get back to you in 3 days confirming they have everything and your final total. Once you have that, THEN you pay. Please review after receiving (or not) your order. Be honest and fair about it, if it good or bad give the report so everyone else can know! Well, I got this free from LEGO online store for ordering an Elves set. Not the biggest for parts polybag but it was free so what you expect. Though if I did have to pay for it I presume it would be under the golden ratio given most poly bags are $3.99 which would put this very over the golden ratio. I couldn't get a frame out of this and not very many usual parts for building in general but it does give us an idea of the Elves color pallet. Alien landscape trees perhaps? I am looking forward to see what else the Elves sets have to offer.